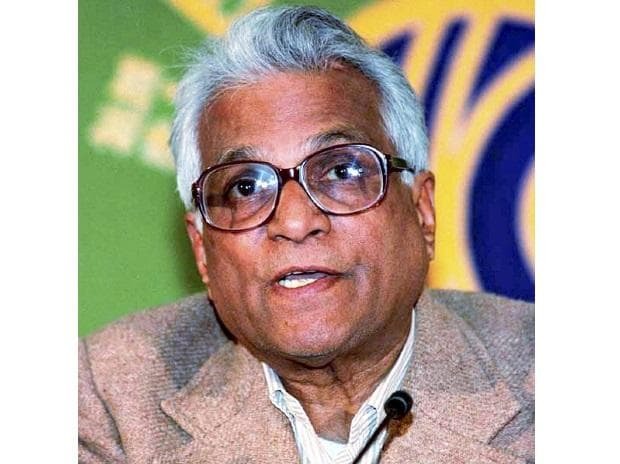 There was a time in the early 2000s, when Atal Bihari Vajpayee's health was on the decline, that friends and supporters of George Fernandes believed he could become India's Prime Minister. It would have been quite ironical had such a circumstance come about -- a Manglorean Catholic, who had trained to be a priest but quit to become a trade unionist, a socialist and a lifelong atheist, becoming the prime minister with the support of the Hindutva mouthing Rashtriya Swayamsevak Sangh (RSS). But as it turned out, the Vajpayee-led National Democratic Alliance lost the 2004 polls. Within a few years after that, first Vajpayee and then Fernandes retired from active political life because of the onset of Alzheimer’s. After 2004, Vajpayee vacated the prime ministerial bungalow and moved to 6A, Krishna Menon Marg, and was a neighbour to Fernandes, who lived at 3, Krishna Menon Marg for the next six years. But it wasn't as if the two friends met often. The nursing staff, at times from the same agency, would carry the news of one's wellbeing to the other. Vajpayee died on 16 August, 2018 and Fernandes less than six months later, on Tuesday. Fernandes was one of the most charismatic socialist leaders of his generation, and somewhat modelled himself on his hero Ram Manohar Lohia. Initially a trade unionist, Fernandes soon became a key leader of Lohia’s Samyukta Socialist Party, or SSP, in the 1960s. He had reached Mumbai as a 19-year-old, and for some time slept on pavements before coming into contact with trade unionist P D’Mello and lawyer Ranjit Bhanu. Initially, Fernandes unionised hotel waiters and hawkers, and served as a member of the Bombay Municipal Corporation in the 1960s. Already active in unionising workers in Mumbai, or Bombay as it was then known, Fernandes defeated the Congress party’s S K Patil from the Bombay South constituency in the 1967 Lok Sabha polls, and earned the epithet of ‘giant killer’. At that time, Fernandes could bring Bombay to a halt at a moment’s notice, and only Bal Thackeray matched his popularity and influence on the streets of the city. The two were ideological opponents, but respected each other. After the passing away of Lohia that year, Fernandes became the pre-eminent leader of the SSP and subsequently the chairperson of the reunified Socialist Party in 1973, taking forward his leader’s formulation of ‘anti-Congressism’. In 1974, Fernandes led the All-India Railway strike. He was the president of the All India Railwaymen’s Federation. The strike was a result of pent up grievances of railway workers. In Bombay, Fernandes galvanised electricity, transport workers and taxi drivers to join the protests. The strike started on May 8, 1974. The Indira Gandhi government responded with a crackdown, arresting or detaining thousands of trade unionists. The unions called-off the strike on May 27, 1974. The authorities released trade unionists, including Fernandes, from jail but thousands of others remained in detention. The high-handedness of the Indira Gandhi government in dealing with the strike and its impact in bringing the nation to a halt contributed to the anger against the government, and eventually the imposition of the Emergency 13-months later. When the Indira government proclaimed the Emergency on June 25, 1975, hundreds of political leaders, including Fernandes, went underground. Fernandes was arrested nearly a year later. He was tried for what came to be known as the Baroda dynamite case. According to contemporary sources, including fellow political leaders, there was a plan by the government to hang Fernandes. Phone calls from West German socialist leader Willy Brandt, from Moscow and socialist governments in Scandinavian countries dissuaded the Indira Gandhi government from that course of action. In another irony of India’s democracy, Fernandes, born and brought up in Karnataka, and much of whose political life was spent in Mumbai, contested while still in jail from Bihar’s Muzaffarpur and won the elections in 1977. Fernandes had not wanted the Socialist Party to merge in the Janata Party, but had to bow to the wishes of Jayaprakash Narayan. Fernandes was the industries minister in the Janata government, and asked multi-national companies like Coca Cola and IBM to implement the Foreign Exchange Regulation Act, or FERA. When the two companies shut operations in India, the Janata government started a cola drink ‘double 7’ to mark the Janata Party’s win in the 1977 Lok Sabha polls. However, Fernandes and socialist leader Madhu Limaye were unhappy with the influence of the RSS cadres in the Janata government, and what proved to be ironical a couple of decades leader, felled the government on the question of ‘dual membership’. In the V P Singh government, Fernandes was the railway minister. By the mid-1990s, Fernandes realized he could not stay in the same party as Lalu Prasad Yadav, and formed the Samata Party in Bihar. He not only established Nitish Kumar in politics, but also gave Bharatiya Janata Party the legitimacy that it sought after the razing of the Babri Mosque. The BJP and Samata Party aligned in Bihar, and Fernandes became the spine of the BJP-led NDA that formed the governments at the Centre in 1998 and 1999. He was also the defence minister in that government, and was thought of as a successor to Vajpayee among the allies since L K Advani, given his role in the demolition of the mosque, was unacceptable to them. Fernandes was someone who led his life simply, even washing his clothes himself. He fell and injured his head while washing clothes, but subsequent surgeries could not prevent the onset of Alzheimer’s. There was some bitterness between the mentor and disciple, when Nitish Kumar refused to allow Fernandes to contest the 2009 Lok Sabha elections on a party ticket as he was unwell, but later brought him in the Rajya Sabha. Fernandes was mostly bedridden in the last decade of his life, and could not recognize people. The world outside got to know about him when estranged wife Leila Kabir and companion Jaya Jaitly fought a court case. Kabir took care of Fernandes in the last years of his life. Sean, their son, is an investment banker based abroad.